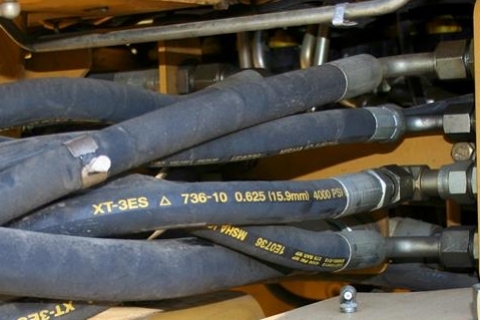 As the industry’s leading source for custom hose, Kent Rubber Supply has earned a reputation for delivering high-quality products, on time, and to our customers’ specifications. With over seventy years of experience, we’ve gathered the absolute best equipment and personnel to meet – and exceed – our customers’ expectations. We’ve also accumulated the knowledge necessary to truly understand and address the challenges that our customers are facing. If you’ve been searching for a new source, you already know how difficult it can be to find a trustworthy, proven supplier that won’t disappoint you with poor service, long lead times, or inferior products. In today’s post, we’re going to look at why you can trust Kent Rubber Supply to meet your needs. One of the first things you should look at when you’re scouting a new supplier is their track record. How long have they been operating? How extensive are their fabrication and distribution capabilities? At Kent Rubber Supply, we’ve been the market’s supplier of choice for over seventy years and have unparalleled capabilities when it comes to the supply and fabrication of custom hose. When it comes to industrial hose, fittings, and products, there’s no substitute for selection. A reputable supplier with a history of delivering on time isn’t helpful if they don’t carry the products you need. To ensure that our customers have the products they need, when they need them, Kent Rubber Supply offers the largest selection of hydraulic fittings, gaskets and seals, custom hose, and custom rubber products. At Kent Rubber Supply, we pride ourselves on our ability to help customers face – and overcome – the challenges of their operations. If you’ve been searching for a proven supplier of high-quality industrial and custom hose, contact us today to learn how we can help.